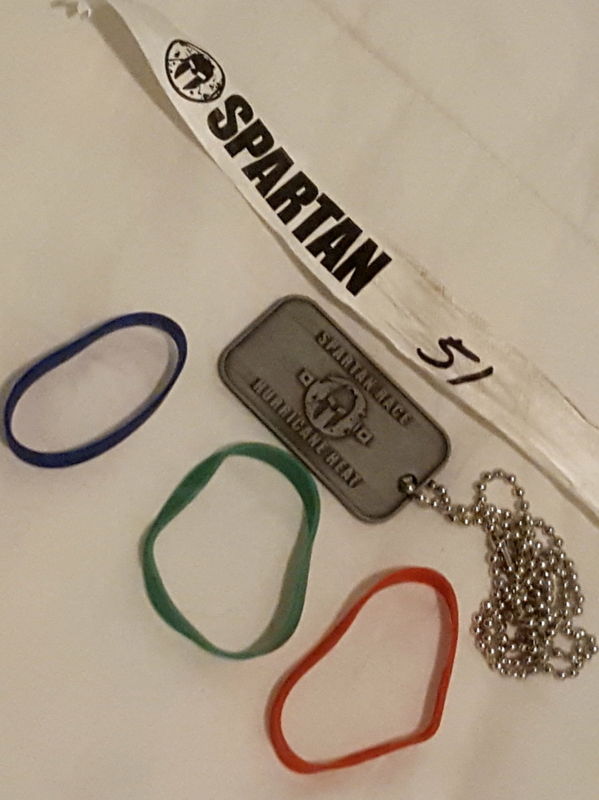 First off, Spartan Race (SR) didn't have to do this. 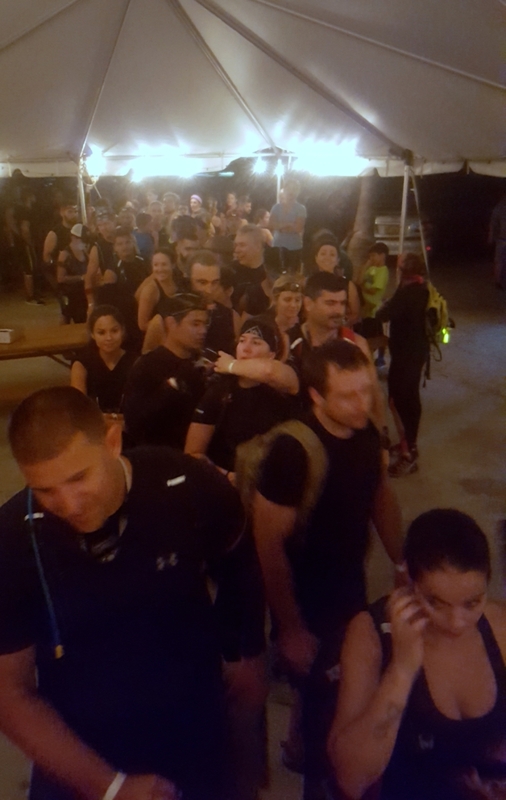 When Spartan canceled, correction, when Hurricane Matthew canceled the Spartan Race in Okeechobee, FL. No one would have blamed them for packing up their trucks and moving on to the next race. Instead, they chose to put on a special Hurricane Heat at Virginia Beach on Virginia Key in FL. So, having always wanted to do a Hurricane Heat (HH) and rather than driving three hours to Okeechobee, I could do one virtually in my backyard….sign me up!! Well, one out of two ain't bad. I managed to get there early, and despite the warnings and having read the rules, I ventured to get answers…without actually asking a question. Now, I won't say that Coach Casey, one of the cadres (is she everywhere in South Florida?) was helpful. 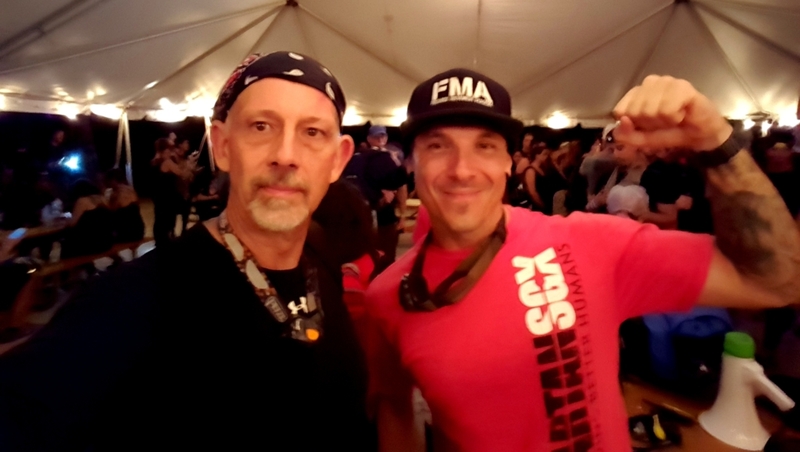 And I won't say that Frank Grippe (Senior VP with Spartan Race) was extremely cordial in answering the question I wouldn't ask. No…I wouldn't say those things at all because these are the same people whose job it is to strike fear in the hearts…and minds…and muscles…of all the HH'ers. After an intentionally awkward team formation, we got the outline for the race. Three legs. The first leg would be a two-mile trek. This is relatively flat ground, and we already knew we wouldn't be on the beach. The catch, the entire two miles would be a buddy carry! The teams were 25 people each, divided by two is…well…a problem. Another issue is running alone. A bigger problem is being 220 lbs, running alone and being the oldest person on the team. Finding a partner was not going to be easy. Who I did find though was Angie! A solid 90 lbs…with an extra 20lbs for our packs that she would be carrying, not me. My brilliant plan was that I would just do the two miles carrying her and be fresh as a daisy at the end. I mean, it's only two miles! Well, carrying 110 lbs for two miles in 85-degree heat isn't as much fun as I imagined. And I'm pretty sure that Angie spent at least the first mile hoping that I wasn't going to drop dead right there and roll over like Snowmane, crushing her. Admittedly, there were times I wasn't so sure about that myself. She was very brave. But we did make it through, after which we did about a half mile of various strange sideways squat walks. 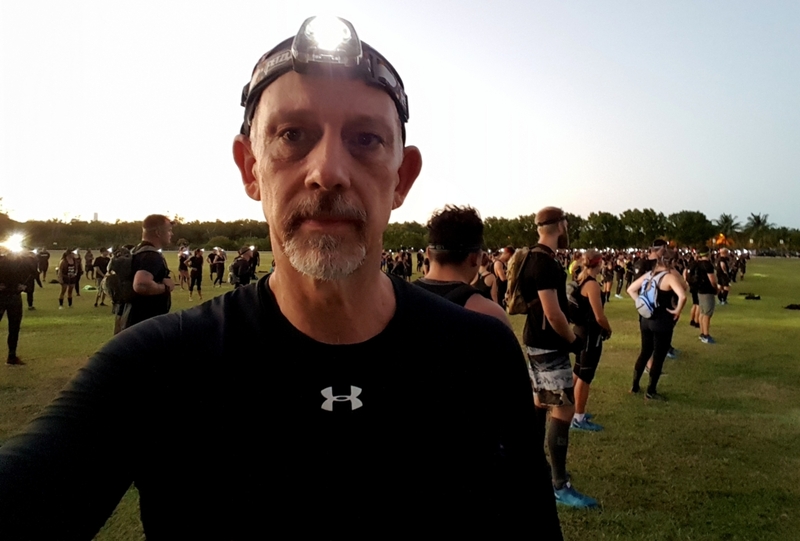 This quickly reminded me of something you should never forget…Spartan Race always piles on more to whatever punishment you've already put your body through. Now we were on a parade ground size area, just behind the lead team….and it was time for some physical training (PT). Lots of PT! Although we had worked loosely as a team up to now (and remember, this was a patchwork of 25 type-A personalities with drastically different physical abilities) the PT was a point where holding up your end came full into focus. Pushing a little harder…crawling a little faster…holding a position longer when you “just can't,” so your team can crawl under. People may have missed this aspect, but I think that's what the HH is all about. Then came the “crotch-train.” No…I doubt that's what it's called, but it was a rope (cut accidentally short I think) that was run between everyone's legs…and then we had to do a mile together. I am very proud of our team (which to my delight included my mystery OCR friend Marcella…who shows up at every race within 200 miles apparently…and also has ties to Coach Casey!?? !…but I digress). Our team (Team 3) did everything asked of us….together. But if I told you that a group of five-year-olds carrying a pair of melting ice cream cones during a rainbow-colored elephant light parade at Disney would have managed to go faster and straighter than we did, it would not be much of an exaggeration. We were the very picture of a hot mess! Finally, though, at some point much too close to the end of it, we did get our s**t together long enough to catch a few teams that had passed us…at least we had a moral victory. Thankfully, all good things must end…so we said goodbye to the crotch-train. And hello to some more PT. You see, going out early was another good plan. But to paraphrase one of my favorite sayings…no good plan goes unpunished. You see, the idea was to start early….finish early. But the cadres had something else in mind. Like all the teams finishing together. To do that, though, we would have to wait…and wait…and wait some more…for the later teams to catch up. So what keeps you occupied best while waiting?? PT of course!! Oh, joy!! So finally, the teams caught up, and we formed a four across, hundred deep column and proceeded to do a weird squat walk to the Big Castle field. Because there were three legs to the event and as tired as I was, I was pretty confident this was the third. But no, we were about to start the fourth of three legs. Yes, that's the fourth of three legs, pure Spartan. So what were three hours in the “brochure” turned into four hours at the start line which turned into five plus hours by the time we finished. Again…typical Spartan. We got to the field before dusk and then started some PT. After that, some more PT…and more PT…and then just a bit more PT….until we finished with (all together now) more PT. This went on through dusk and into the moonlit evening until finally, even those dastardly mosquitoes wouldn't have anything to do with us. But this was another time where so much of the work required everyone to pull their weight because if you didn't, everyone suffered. “Do it again” seemed to ring out much too often. FINALLY, when it seemed the cadres would never tire, we were finished at last. After a class photo attempt at the sand castle, we headed back to the tent for the swag! While this HH was tough, though, I knew it could have been much worse…meaning much tougher. 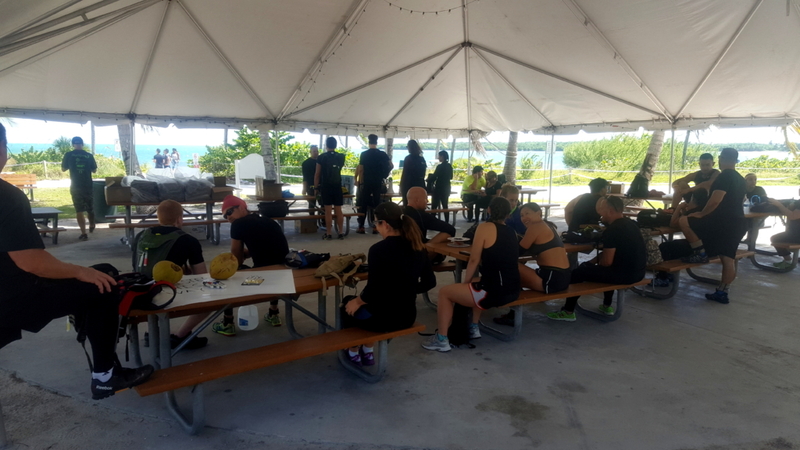 Besides being a very short planning and prep period for Spartan and a very large HH group, I found (and the cadres confirmed) that not only were many of the people new to HH, there were a surprising number that was new to OCR period (a rude welcome to the OCR club indeed!). And while Spartan doesn't mind beating you up, they do prefer that you survive the experience. So this was an HH with a lean towards a severely disturbed SR workout. And for me, a much different dynamic than a race. I usually go it alone (until I meet up with people on the course), at my pace, my choices. But here, you must keep up, pushed by leaders and well aware that your team was relying on you. So, knowing it could have been much worse, the question remains, would I survive a ‘real' HH? Maybe not, but you know what…sign me up! 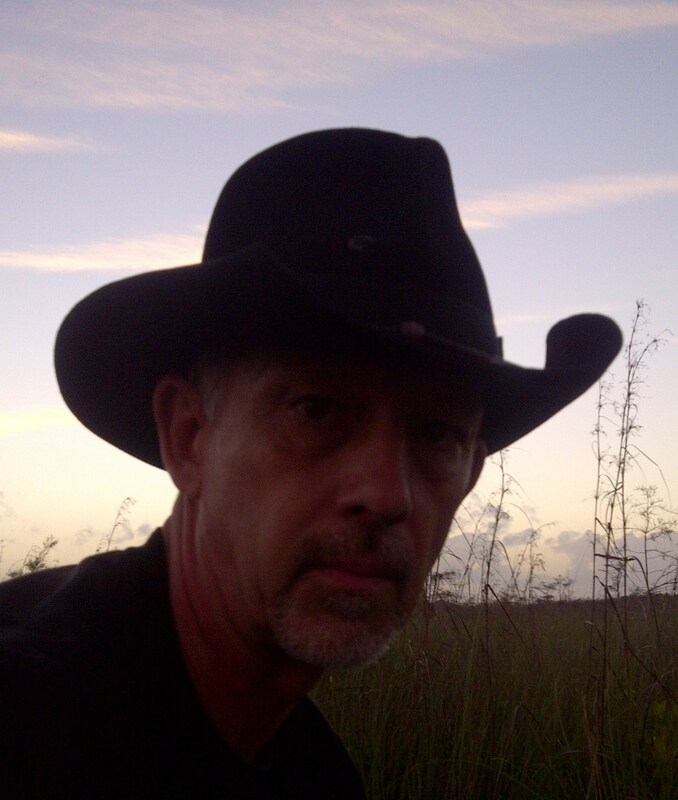 Sooner or later I have to find my DNF….it's my personal El Dorado….I know it's out there somewhere, waiting for me……. Hi John great article but you’ll never have a DNF. It’s just not in you! Thanks for the comment and for checking out the article Marcella! Maybe it’s true…that I’m just not smart enough to know when to quit…lol. But I won’t stop looking for that limit. And if I get the ok, I have another plan to go for something that I haven’t personally done before later this spring. Stay tuned….